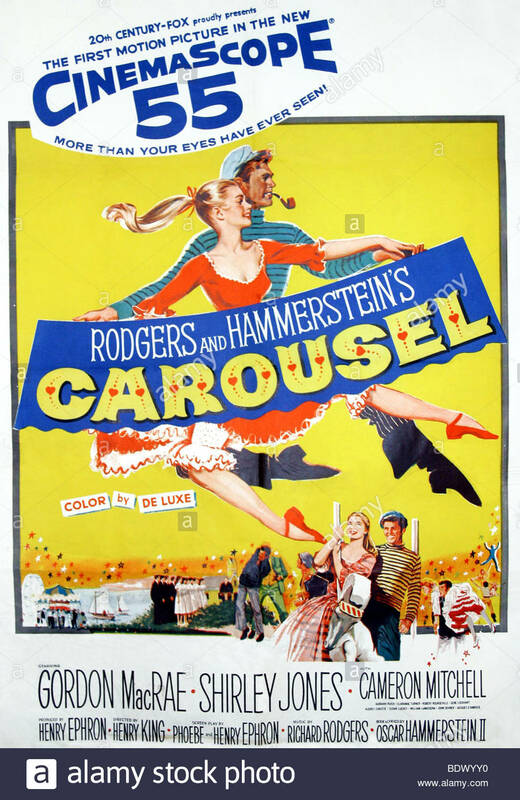 As a kid who adored musicals, whether on stage or screen, I grew up with a special affection for the 1956 movie version of Rodgers and Hammerstein’s Carousel. I loved it all: the rousing choral singing by the whalers and their gals; the romantic duet between Billy Bigelow (Gordon MacRae) and Julie Jordan (Shirley Jones); young Louise’s poignant dance on the shore. That uplifting final reprise of “You’ll Never Walk Alone” never failed to reduce me to tears. Given my love for Carousel, I was surprised to find the film version dissed in Todd Purdum’s authoritative Something Wonderful: Rodgers and Hammerstein’s Broadway Revolution. According to Purdum, critics were universally scornful, and Carousel became the only one of Rodgers and Hammerstein’s major films not to be nominated for a single Oscar. The story of Carousel -- the tale of a ne’er-do-well carnival barker lured into a criminal act for the sake of his unborn child -- is at base a dark one, and it didn’t help that the Hollywood bosses insisted on blunting its edgy appeal in the name of propriety. Even the mildest oaths (like “what the hell”) had to be removed from the script, and the powerful moment of Billy killing himself to avoid arrest was changed in the film version into a deadly accident. Moreover, audiences were apparently not taken with the romantic duo of MacRae and Jones, because the two had already been paired the year before in the hit Todd-AO adaptation of Oklahoma! that had been nominated for four Oscars and won two. What would Carousel have been like with Frank Sinatra in the leading role? Riding high after his dramatic tour-de-force in From Here to Eternity, Sinatra had actually signed to play Billy Bigelow, but then backed out at the very last moment. Purdum gives two possible explanations for his behavior, and I’ve heard Shirley Jones insist on a third. In her telling, Sinatra changed his mind because he lost his nerve, intimidated by the challenges of the Rodgers and Hammerstein score. Sinatra could sing, of course. But it’s surprising to learn how often Hollywood was comfortable about the idea of dubbing a star’s singing voice. For the role of Julie, producer Darryl Zanuck urged the hiring of the very lovely, very British, very non-singing Jean Simmons. And the casting process for Oklahoma! produced such unlikely ideas as Paul Newman as Curley, Richard Burton as Jud Fry, Elsa Lanchester as Aunt Eller, and Rosemary Clooney as Ado Annie. 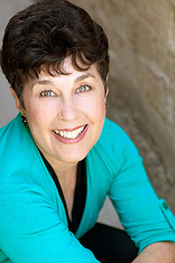 The leading lady, Laurey, could have been played by Piper Laurie, June Allyson, or Doris Day. The King and I (also 1956) starred a non-singer, Deborah Kerr, who was nevertheless ideally suited to her role in terms of both her nationality and her image. (Marni Nixon, uncredited, provided the perfect singing voice.) But this film – for my money the best Rodgers and Hammerstein translation from stage to screen – also boasted the talents of Yul Brynner, who had burst onto the Broadway stage in the unforgettable role of the King of Siam. The beloved South Pacific should have been equally successful on film: for one thing, it was directed by Joshua Logan, who had made both Oklahoma! and Carousel into Broadway triumphs. Alas, stage directors sometimes get carried away with the possibilities of the film medium. Logan had the bright idea of using color filters in front of the camera to tint the negative in evocative colors. So when nurse Nellie Forbush (Mitzi Gaynor) sang about being a cockeyed optimist, the sky really WAS a bright canary yellow. And Bali H’ai looked positively psychedelic. What the hell? According to Henry Ephron, who co-wrote and produced CAROUSEL, Shirley Jones is correct. Sinatra backed out because he lost his nerve. Thanks for this, Michael. I hope all is well with you!